Last Minute Host: Dieser Host sucht derzeit dringend Workawayer. 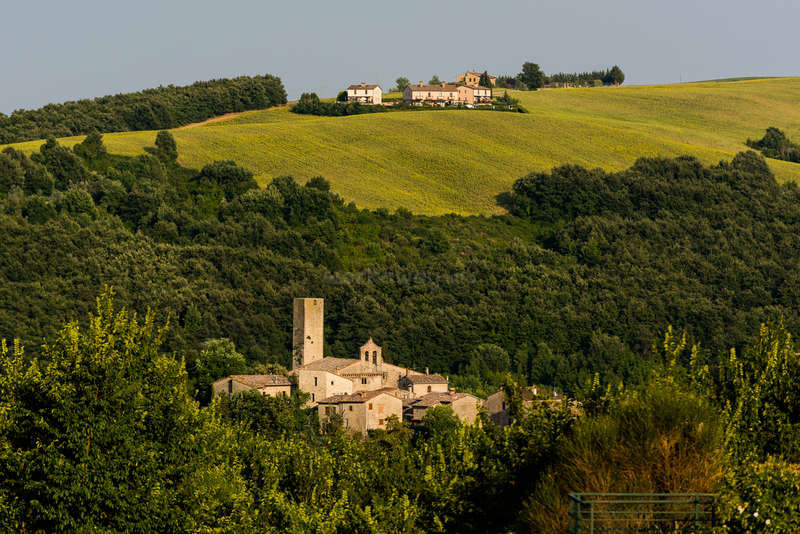 Our 17th-century property is located in beautiful Umbria in central Italy, close to the historic and artistic towns of Assisi, Perugia, Todi and Orvieto. Our farmhouse overlooks a lush valley of olive trees, crops and breathtaking views of ancient towns and hills. We raise sheep and chickens and are also home to dogs and cats. 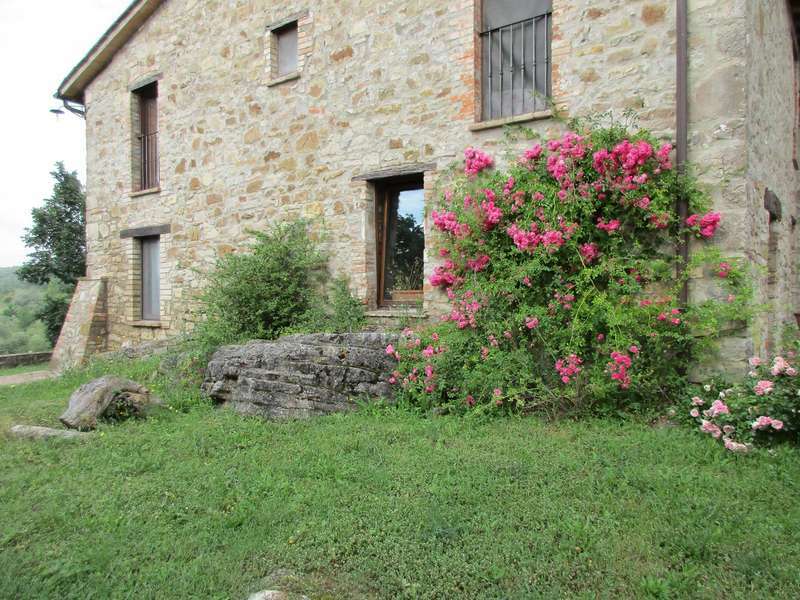 The property also houses an Agriturismo (country house) business. We are embracing eco-sustainability and as such, we are striving to reduce and to eventually eliminate the use of natural gas on the property. Solar-energy is used for most of our electricity needs and in the future, for heating as well. Our home is currently heated with wood-burning stoves fuelled with the wood that is saved from trimming our forest of trees. 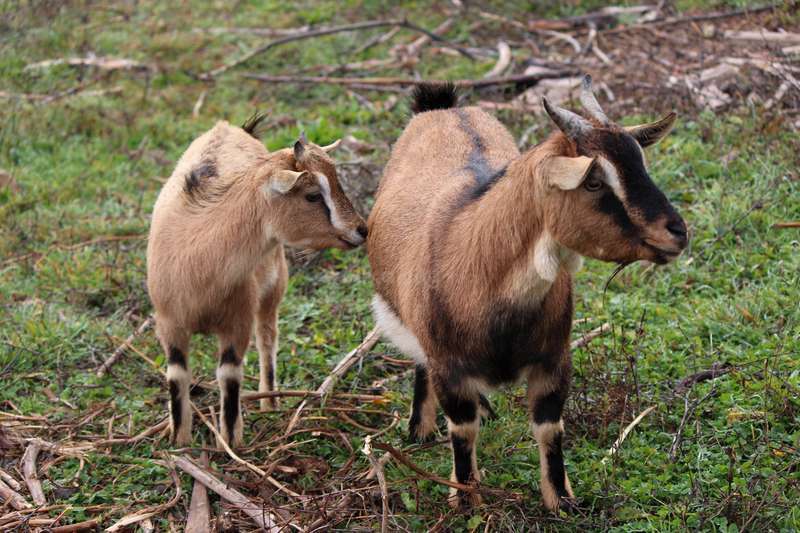 All of our food scraps are saved for composting and for feeding the farm animals. Everything grown on the property is certified organic. At our house you will teach some basic Italian language . You are going to learn how to take care of animals (sheep, goats chickens, cats and dogs ), how to prepare homemade jam, bread, pasta and cakes. We will show you how the maintenance around a farm property. We accept more than 2 volunteers so will have a chance to meet a people from whole world, make new friends, share experiences..
We strongly believe in the concept of community-based living and that everyone should experience life in the countryside. Coming to our farm, you are becoming a member of both our community and of our family and we look forward to warmly welcoming you! On Sunday and Saturday when volunteers have no work, we are happy to take people to the train station wishing to see the very beautiful surrounding area. Small medieval villages like Rotecastello, Civitella dei conti, Collelungo, San Venanzo with a Vulcan (Volcano) are walking distance from our farm. Willingness to help and learn basic construction important. Should enjoy being outside and working with your hands. The tasks to be done is varied and ranges from harvesting olives to tending to animals, to maintaining and developing the farm facilities. At the farm all the volunteers follow ours professional workers with their duties, learning and helping works like gardening, animals tending , fruits and olives picking etc, following all the health and safety regulations. We would love to have volunteers who enjoy volunteering with our son Emanuel, who is an adult person. This would include simple tasks that teach independence (not physically demanding). Emanuel has a rare Sindrome called Sotos and he likes when people are in the house, building relationships.. he is a very good artist As a result, this request requires special attention and volunteers who are understanding and feel comfortable. We will provide you with your own bed that is in a shared bedroom with other volunteers. The apartment is very cozy with a nice fire-place and front door that overlooks a beautiful valley. Volunteers must wake up and be ready to work by 8 am. Breakfast is usually simple, consisting of coffee, milk, and cakes that are in the apartment. Depending on work schedules we may ask the volunteers to help in preparing the meal as well as washing the dishes afterwards. Dinner is up to your own discretion. We will give you all that you need to prepare a good meal and you can enjoy making dinner with one another in the apartment. We ask our volunteers to consume no alcohol when staying with us on our property. Catch a "Trenitalia" train from Rome Termini station to Terni (approx 1.5hour/1 hour on high speed train). Remember to validate your ticket at the small yellow machine on the platform before you board the train, as you may be fined up to €50 if you forget. When you arrive in Terni you need to catch a local "Centrale Umbria" train to Marsciano. Tickets for this train are purchased from the small shop at Terni station (approx €3). The timetable can be found on the wall at the back of the small shop or in the subway under the platforms (near the sign for platforms 4 and 5). Catch a "Trenitalia" train from the Florence Santa Maria Novella station to the Perugia Ponte San Giovanni station (P.S.G). Remember to validate your ticket at the small yellow machine on the platform before you board the train, as you may be fined up to €50 if you forget. When you arrive in Perugia P.S.G you need to buy a ticket for the local "Centrale Umbria" train to Marsciano. Tickets for this train are purchased from the small shop inside the Perugia P.S.G station (approximately €2). This ticket does not need to be validated before you board the train as the conductor will clip your ticket onboard. If you are staying in the centre of Perugia there are two stations that you can catch a train from - Perugia Santa Anna or Perugia Fontevegge. You need to catch a train from either of these stations to Perugia Ponte San Giovanni (P.S.G) - approximately €2. When you arrive in Perugia P.S.G you need to buy a ticket for the local "Centrale Umbria" train to Marsciano. Tickets for this train are purchased from the small shop inside the Perugia P.S.G station (approximately €2). If you let us know what time you will arrive we will pick you up from the train station in Marsciano. I really enjoyed my time here! It was a great experience with a great cultural exchange. The hosts are a very welcoming family and I learned a lot during my stay with them! Guys thanks for staying with us :) You worked really hard and we really appreciate that. You helped us so much and we are glad that you found work interesting :)) We wish you the best in your future! Unfortunately we worked a bit more that the profile promised because of harvest. We worked approx 8 hours a day and in the end some of us got some extra days off. If think the communication and scheduling could have been better. The harvest was super interesting and in the end of our stay we went with Amin to see the mill. We also made Christmas decorations together for the Agriturismo house! The area is amazing! Such beautiful nature. For us (coming from Denmark) it was a winter fairytale. I spent almost 3 weeks working here! The family is great people, they help me a lot with everything, they were flexible with the dates and gave us all that the volunteers needed. I met wonderful volunteers from all over the world, it was a big pleassure sharing my days with them and with the family. I made good friends. The job wasnt easy,of… read more course, but I learned a lot, and they respected the hours and the days off. Kontaktaufnahme ist nur bei Workawayern mit einem aktiven Account möglich (dieser Account ist nicht aktiv). Paula and Nico thanks a lot for staying with us! You helped us a lot when we needed it the most, that's really amazing :) We wish you the best in your future and you are always welcome at our home. This was our first workaway experience, and it was the best experience we have had on our trip! They are a beautiful family and they make you feel part of it. The agriturismo is a dream place, and we all live together in the family home. Olive trees so organic and pleasant, working together as a team. We thank you especially to the employees of… read more the place who made us feel like a partner. Like all big family there is a lot to work on, they are very willing with everything! we'll miss you! thanks for everything! and greetings to the cats and tony the great dog!. Our time at Santa Maria has been truly wonderful. Rosaria and her family are lovely people, very kind hearted and generous, it has been really nice getting to know you all! There are lots of volunteers here, and this was a big part of why we enjoyed the workaway so much. We cooked together, took day trips to Assisi and even partied in… read more Rotecastello! It’s fair to say that we were quite remote but if rural Umbria is what you’re after this is perfect! In terms of work we arrived during the olive harvest which is hard work but when you’re in good company and surrounded by beautiful landscapes time flies and it can be very rewarding! (A big thank you to Hossine and Shedarak too!!) We would highly recommend this workaway as long as you are prepared for rural/farm style living. At times it can be quite chaotic but with so many people in such a big place it is to be expected. Thanks again Rosaria, Daniel, Emmanuele and Francesco, (and Toni the dog!) we will miss you all! Until next time!! Joel is a great guy and hard worker. We really enjoyed having him at our farm! :D Good luck Joel! I will be quick but my feelings are deeps. I spend 3 amazing weeks with the family and the volunteers. I met wonderful people that I keep in my hurt and mind. I highly recommande this place: wonderful people, good food, beautiful place and a lot of love! This was my first work away experience and overall it was 80% great and 20% needing improvement. During my 10 days, I spent most of my ‘working’ hours helping in the restaurant (cooking, serving or washing dishes). I grew very fond of the family, workers and guests at Santa Maria. I felt extremely welcomed and accepted and left with many new… read more friendships and connections. The main purpose of my stay was to practice my Italian and I did this everyday. Unfortunately I found the volunteer accomodation and facilities to be of a very low standard. For example, it seemed that the bedroom had not been cleaned in years, the bed sheets were very old and stained, the toilet seat and most crockery was broken and, most kitchen appliances were broken or old. Overall, my interactions with the people at Santa Maria prevailed over all else and for this reason alone I would recommend Workaway here! Thankyou Rosaria, Daniel and boys for welcoming me into your family and your life. I will not forget it!! It was a pleasure to have you working with us. The joy and the enthusiasm you put into the work and the happiness you brought into the house was heart melting. We really will miss you and hope for sure that you will come back to visit us once again. We hope you keep having a great time traveling as much as it was a great time having you here! Well, I spent 2 weeks in this wonderful place with a lovely family and I met great volunteer! The vibes there were amazing every day, the place is also beautiful and for me it was the first time that’s I harvested olives and it was lovely !! Houcine and shedrake members of the staff or so friendly and great! I recommended this place for sure and… read more rosaria and Daniele gracie mille por totte, keep going like this it’s wonderful what you do to make those things happened! William thank you for coming and staying with us. We are really sorry that you felt bad and that work was monotonous to you. Sometimes work knows to be boring, sometimes fun ... but anyway we gonna give our best to make it fun as much as possible. Santa Maria is in a very beautiful part of Italy and close to lot's of really cool places if you have access to a car. The family are really lovely and were very friendly. 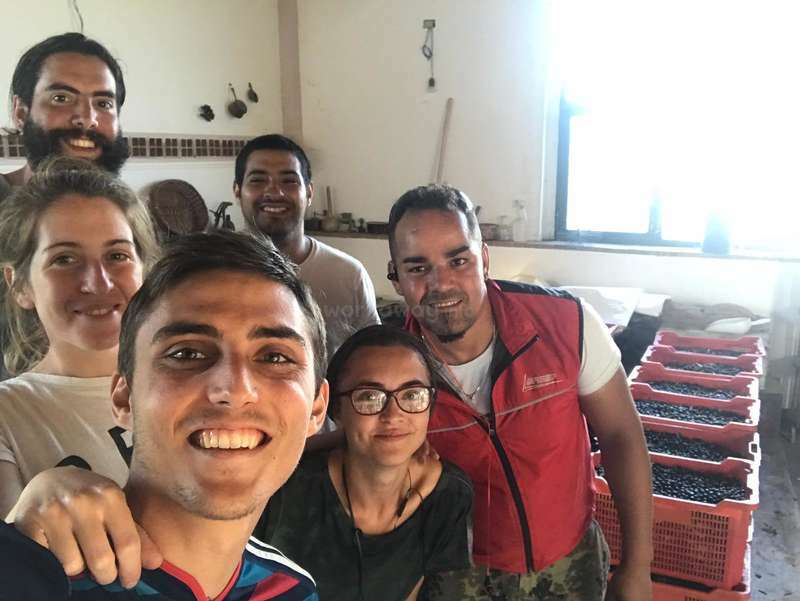 I greatly enjoyed herding sheep and living in the stunning Italian countryside with an amazing group of volunteers, and I am very grateful for the opportunities and experiences… read more that I received during my 10 day stay here. However communication and conversation with the family is very limited and my only contact with them was usually just in passing. Volunteers eat, cook and socialise alone, so there is no cultural exchange in the way of language, cooking, community or information about the region (other than between volunteers). This lead me and several others to feel like we were only there as free labour since the work was monotonous and there was little information provided about why we were doing seemingly pointless tasks such as picking rocks out of a field for most of my time there. If a cultural/homestay experience is important to you, this is definitely not the right workaway as there are definitely better opportunities in the region. Great experience working at the farm! Marco and husseini are the best! It was my first Workaway experience and I just loved that! I spent one month with Rosario, lovely and funny woman, always happy and kindy. The help sometimes was hard, but the people there (from the agriturismo and the others volunteers) were so nice and friendly that it was impossible didn't have a good time. I always will remember about this… read more experience with a smile in my face and with good memories, and definitely I wanna go back! I spent 3weeks at Rosaria’s agriturismo and It was a wonderful first workaway exprience. I arrived at the beginning of the olives harvest and we used to work 5hours/day. We also took care of the animals (chickens, sheeps and goats) and specifically shepherded the sheeps each day for 3 hours in the morning. Whatever the activities, it was very… read more relaxing and we were able to listen to music, potcasts or chat with each other. Rosaria and Emanuel were very welcoming and so generous. We were very independent, we cooked for ourself and I personally had a lot of fun and met some wonderful people. Thank you for this experience! I spent 4 weeks at the Agriturismo in October and it was a great first workaway experience. First and foremost, I want to thank Rosaria and Emmanuel for opening up there home for the volunteers and being so welcoming. I worked during the olive harvest which began a little less than 2 weeks to my being there. Before then, we herded sheep, re-fenced… read more the chicken coup, and fixed things around the house. The olive harvest was a great time to talk to the other volunteers and listen to music. 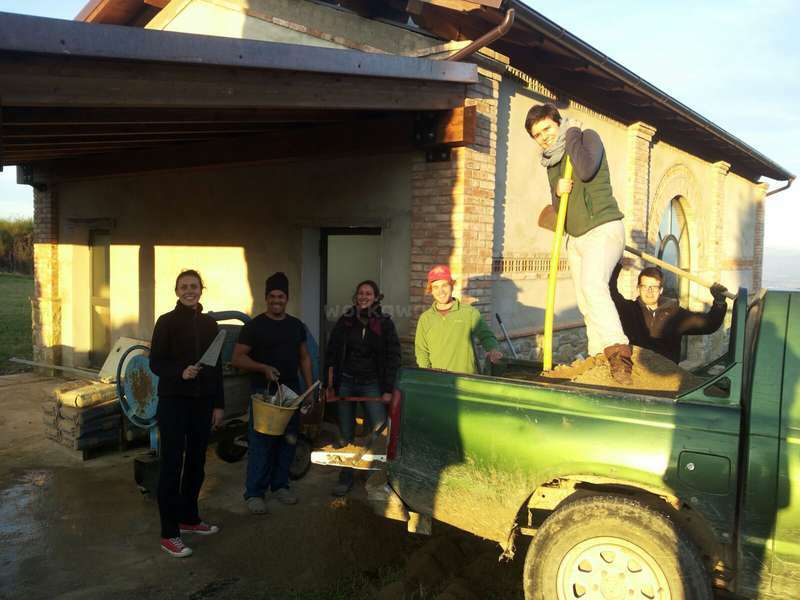 We worked for 5 hours a day and had 2 days off which I accumulated at the end and was able to explore nearby cities and hang out with other volunteers at the Agriturismo. The amount of volunteers at a time was great, the time we had to ourselves and the space was a great way for us to become friends. It is definitely a place I would recommend especially for your first workaway. Thank you again to Rosaria and Emmanuel! Edward thanks for help ! Hope that you had a nice time with us :)) ! That was my first workaway and I couldn't start better. I met a lot of people from all over the world and had some very good moments with them. If you like socializing with people and enjoy nature I recomentdd this place to you. Rosaria and Daniel are very friendly people and will try to make you feel comfortable. I wish you all good in the… read more future, Rosaria, Daniel and Emanuel, it was a pleasure stay with you. I spent three weeks here in October during the Olive harvest and had a great time! The work was mostly picking the olives for five hours a day, which was fun when we all listened to music and chatted. There were also the animals to look after, which was sometimes challenging but altogether a very memorable experience! 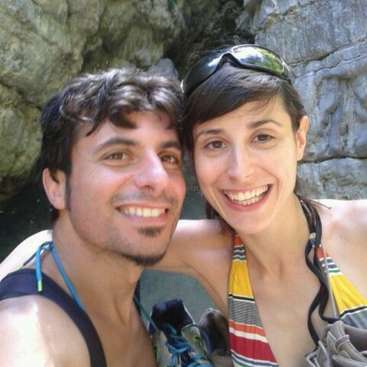 Roasaria and Emmanuel were… read more very welcoming and friendly and the days off were very flexible (two per week), which was perfect for exploring some of the beautiful towns nearby. The best part of this workaway was working with the other volunteers and having our own independence and space to cook and hang out and I have made some wonderful friends. If you are up for meeting some interesting people in exchange for a bit of outdoors work then this is perfect. We spent 2 weeks in the agriculturismo in October and it was an amazing experience. 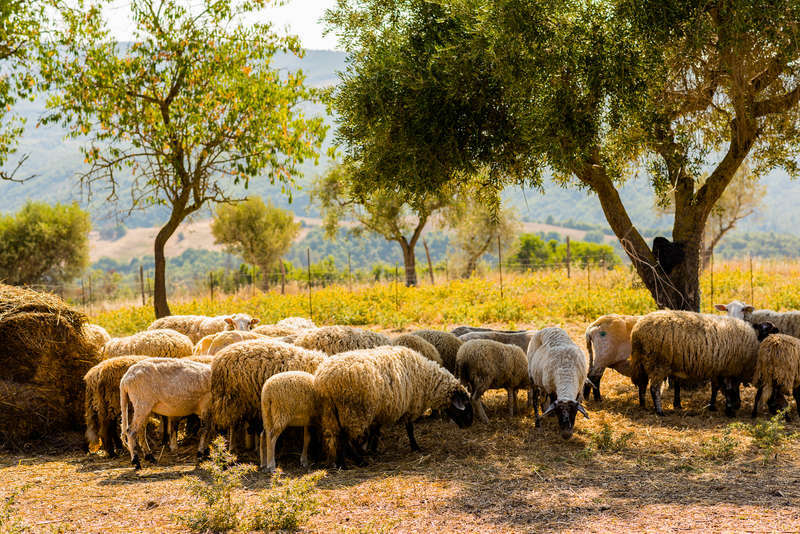 As we had arrived in the olive harvest season, our main responsibilities resolved around olive picking and sheep herding. As mentioned, the work took approximately 5 hours per day, 5 days per week and was very appropriate for volunteers. 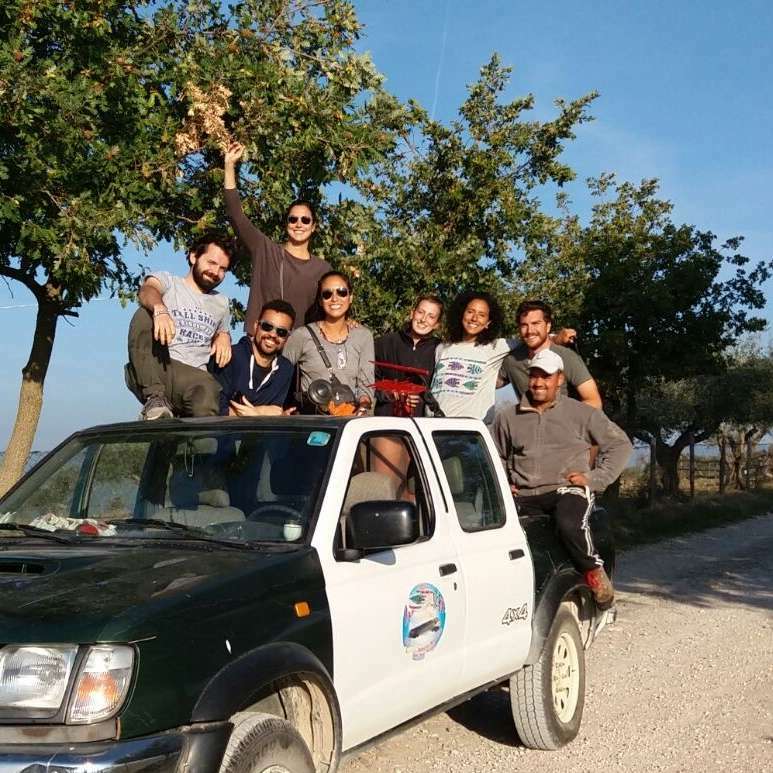 During our stay we had a… read more lot of fun working together with the other volunteers, learning about the olive harvest and the animals, exploring the area and just waking up to one of the most beautiful views in Italy. Thank you, Rosaria, Emanuel and the rest of the Workawayers- even though we were a big group, we always felt as a part of a family. I met several people as there were lots of volunteers there, if you are social, olive harvest time is for you. The place was also a bit chaotic, but this can be expected with the number of volunteers they take. You will definitely learn about other cultures, you can learn how to make bread, start a fire, play card games, but you can also choose to spend your afternoons/evenings watching dvd-s. Thank you Rosaria and everyone else I met there! I had a good experience at Santa Maria. Rosario is a very kind and funny women and the house for volunteers is cosy and welcoming. There was a really nice group of about 7 volunteers when I was there. We picked olives or helped out with the sheep so the work was not too hard and there is beautiful countryside that surrounds the agriturismo.… read more Recommended place to stay! Claudia thank you so much for coming and visiting us ! You are great person and good volunteer. Good luck ! No avuto nell'aprile due bellissime settimane la. Sorry for no t leave a feedback before but i can't reach the correct page for feedback. But so many thanks for all the lessons, it was a really great time. I had a really good time there and you would learn a lot of stuff in just a few days. It was one of my best experiences. Saluti a… read more tutti, Rosaria, Daniel, Katia, Emanuelle, tutti i resti. The sourroundings for this work-away was incredible and really an authentic part of italy i had never met before. Rosaria, Emmanuel and Daniel was very warm people who really tried to help you. The atmosphere in the volunteers house was incredible and i will never forget the warmth and the good times we had. Usually you work outside all day in… read more the amazing nature and the tasks are usually simple and done in beautiful sourroundings. theres i s a big variety in tasks on the farm. The farm is located in great sourroundings for hiking and using the nature. There is room for everybody and when i was there we were 13 volunteers and doing the olive harvest. There is plenty of food and place to be creative with your cooking. You have a big storage of vegetables, meat and herbs you can make good food from. The work was a bit unstructured at some times, but as long as everybody helped with the general maintenance eveything worked out great. My experience at Santa Maria Agroturismo was wonderfull. Can't stop desriving the great things about this workaway spot. It was definetely the best one i've had (out the three). 1. The atmosphere - being a part of a volunteer group, having a fully equiped kitchen, and being treated as a new family member was great. I felt very welcome, and had a… read more lot of liberty during my stay. 2. The family (including Arianna, and Hussein!) 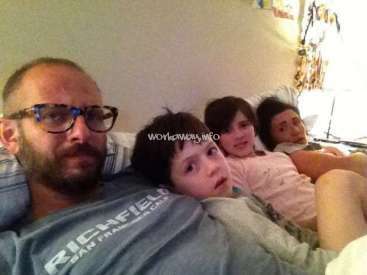 - Rosaria, Emanuel, Daniel and of course Arianna and Hussein - such a lovely family. Love you all! 3. The animals and the actual work - I liked the work very much - taking care of the sheep (3 relaxing hours in the morning) and doing varied missions with Hussein. I also had the liberty to start building the new "Porta Nuova" for the goats. Toutefois Marco et les autres membres de la famille sont vraiment très gentil. Ils sont de belle personne avec plein de belle qualité humaine. Pour ces raisons j'étais triste de quitter mais je ne pouvais quand même pas rester pour tout ces raisons entre autre ma santé et le fait que j'avais presque toujours faim. Thank you Paolo for helping us. It was a pleasure to work with you ! I spent two weeks on the Umbrian hills, welcomed in a family environment and where my work has been appreciated. Joe, you are the great guy and a good worker who helped us a lot! We wish you a good luck on Cambridge! Thank you soo much ! Thank you all so much - Marco, Rosaria, Daniel, Emanuel, Hossein and everyone in the restaurant - for a fantastic week and first Workaway. It was exactly what I wanted - the agriturismo and surroundings were stunning, looking after the sheep was very relaxing, and the food was just amazing. I even managed to improve my Italian a bit! Everything… read more was provided for and whenever I needed something - e.g. a lift to the station - someone was ready to help. You're a great team and a lovely family. I will miss you all! Grazie Lorenzo per esser stato da noi e condiviso questo tempo insieme! Il tuo lavoro é stato utile e necessario sei stato presente e attento, sempre pronto a darci una mano e molto paziente con Emanuel. Speriamo di poterti rivedere qui! Ho trascorso due bellissime settimane, tanto belle che il mese successivo ci sono tornato per altri dieci giorni. Dal punto di vista naturalistico e visivo la casa è posizionata in un punto incredibilmente panoramico, con vista a 360 gradi sulle splendide colline Umbre (in una direzione si può scorgere Perugia e un po' più in là Assisi). Dal punto… read more di vista umano è stata un'esperienza molto "nutriente", nella loro casa si respira una forte umanità. Dal punto di vista pratico ho potuto fare molte cose interessanti, sopratutto improvvisarmi e imparare un po' a fare il pastore con le loro simpatiche pecore... mi è piaciuto molto ;) A presto. Grazie! Barbara made a fantastic job of all her tasks. Couldn't wish for a better helper!! She vas very active and she is not afraid to work hard even when it was very windy and muddy outside. We highly recommend her as a workawayer,or a friend! We loved hosting Barbara and we wish her best for the future! We would have her over again whenever she can… read more make it! I have stayed for five days at the agriturismo and it was a great experience... I've met Rosaria, her husband Daniel, her 2 sons and some great people volunteering like me. Most of the time we were picking olives along with Hussin (our coordinator). It was a lot of fun! Agriturismo is situated on the beatiful hills between Perugia and Terni. The… read more apartment where I stayed was nice and comfortable. I'd like to come back one day! Thanks to Rosaria and Daniel for hosting me. I had a really great time meeting the family and trying different tasks such as looking after the sheep, wood stacking and helping preparing the agritourism. The views were spectacular and particularly enjoyed working with other volunteers and occasionally cooking for everyone :) Very enjoyable 3 weeks! Daniel, Rosaria, Emmanuel, and Francesco were a great host family. Hosin and Alina, who work there full-time, were also so fun to work with and hang out with. 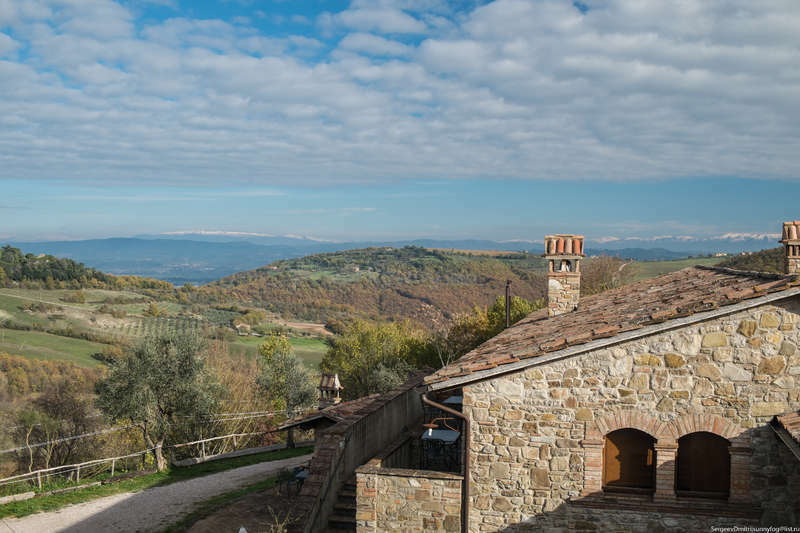 The farm and agriturismo are beautiful, with stunning views and amazing hikes and trails nearby. I had a great time harvesting olives, helping in the garden, and helping prepare meals for… read more guests. Thanks, famiglia Boutet per l'accoglienza e la convivenza! This was my second Workaway experience. 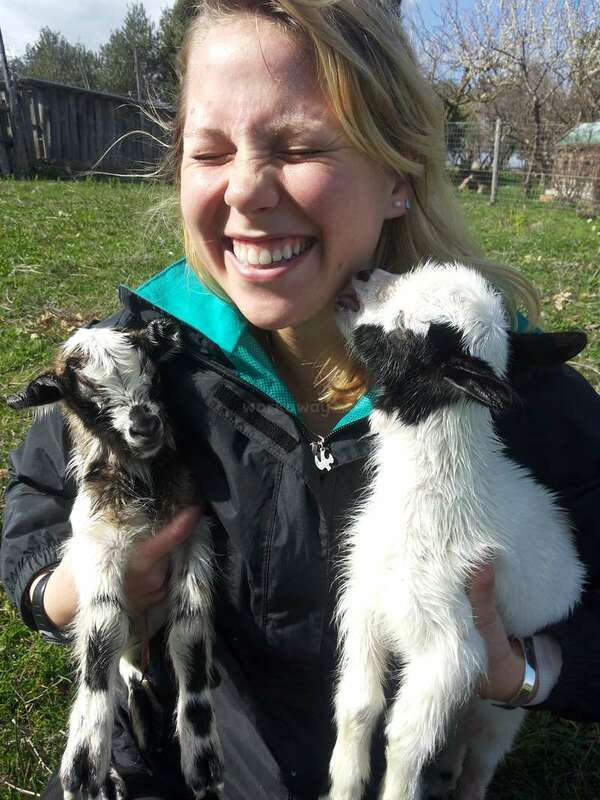 Both at my first and second Workaway I spent the Christmas week on a farm which operates an agritourism business. On this farm in Umbria I met only nice people: a warm family of 4 members, about 10 volunteers, and 2 staff members. 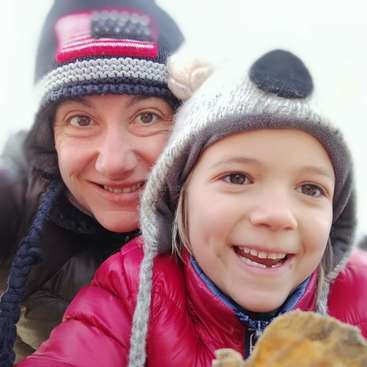 People came from all parts of the world, and we spoke 4 languages between us.… read more I felt welcome by the family: we had some good conversations, and the father taught me how to make bread and a special french dish. He also drove all volunteers to a nearby historic village. I felt safe: they took me to the doctor when I was sick. As the farm had a lot of guests at Christmas, there was a lot of work. I stayed on the farm for 7 days, and I didn't have any days off. The working hours varied between 2 and 8 hours, I'd say 5 hours on average. The work mainly consisted of cleaning the guesthouses. Regarding the food I should mention the biologic olive oil and the home-made jams, which were yummie. I'd like to thank you to Rosaria and Daniel for everything. Dear Veronica and Charlie great couple! Charlie a great chef and Veronica fantastic seamstress that adjusted a blanket Grandma's impossible to fix with love and special care, we were lucky to have you here with us and we are honored to have you in our extended family. Send me a beautiful photos of you, so as I… read more promised you i will make a portrait. dear Matt and Lara ecelent people for ever friends! We hope to see you all again maybe in France. :) We wish you Happy New Year and that this new year is full of encounters. Thank U for hosting me whole week. After I sent request, You made me feel like was waited all the time. Umbria is very beautiful. (All those mountains). I hope Marcello construction work is progressing. How was Emmanuel Star Wars experience? And most of all, I missing all the other… read more workawayers. Thank U! Buon natale for everybody. thank for all , your help and your friendliness ! at all your family and friend a Merry Christmas and Happy New Year from all of us! Thank you for having me stay at your farm and home. I would recommend this workaway to others as the family is lovely and have many great laughs and meals. I spent with this family beautiful two weeks - Rosaria, Emanuel and Daniel are very open-minded and open-hearted people. I enjoyed time there so much, delicious food, Manuel's perfect sense of humour and so nice group of volunteers! 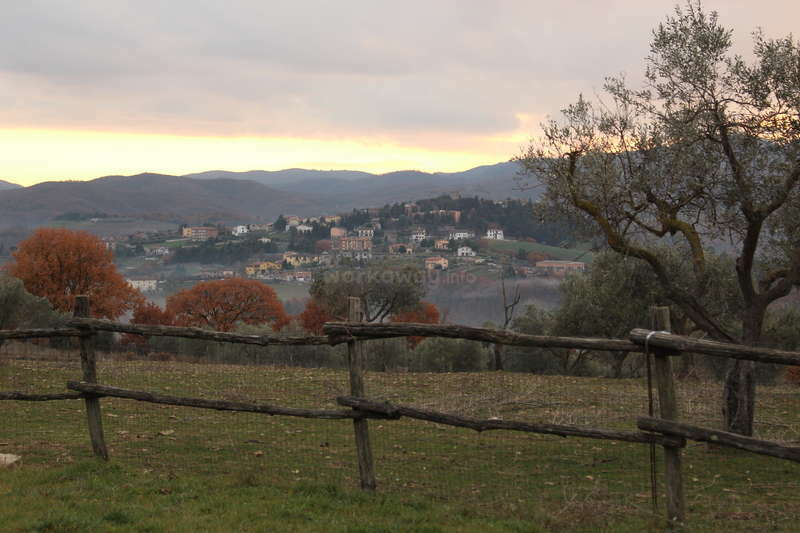 The farm and agriturismo are situated in hilly area with stunning views and nice walks in olive groves. Work is… read more very various, one day you pick olives, another cut apples, take sheep out for a little walk or tear feathers to chickens! I'm glad I had a chance to meet Hossin, Alina and Manola, Stella and cats - important part of Santa Maria! carissimo Avi è vero sarai sempre nel nostro cuore e nelle nostre preghiere! è vero anche che qui c'è la tua casa italiana .. speriamo di incontrarti un giorno con la tua famiglia in israele! ho fato tree setimane con voi. 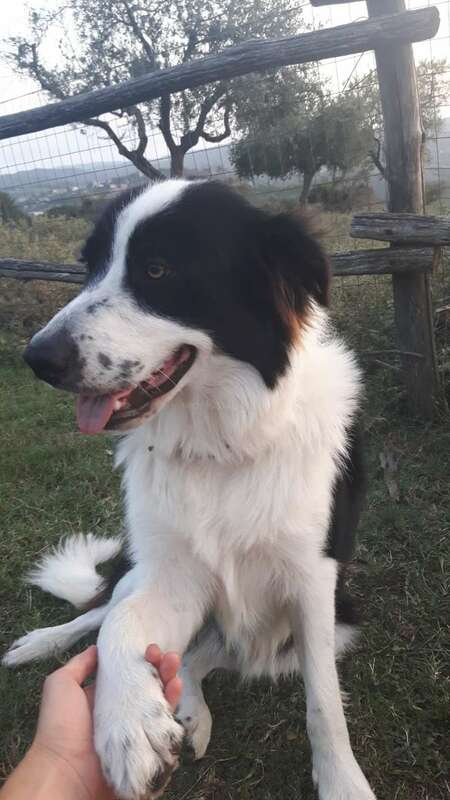 per me adesso siete come una familia ch ho in umbria. Ero con voi per una memorabile tre settimane. Sei brava gente con un cuore grande ed è sempre pronto ad aiutare. Mi sentivo come una casa con voi e vivamente apprezzato l'atteggiamento che ho… read more ricevuto da voi. Grazie per avermi Condivisione anche eventi religiosi vostro molto eccitanti. E per me questa è una buona occasione per conoscere i riti religiosi dei nostri fratelli cristiani. Sarete sempre nel mio cuore. Speriamo di poter incontrare in Israele. Sono qui per te sempre.. I was with you for a memorable three weeks. You are good people with a big heart and is always willing to help. I felt like a home with you and I highly appreciate the attitude I got from you. Thanks for Sharing me also religious events it was very exciting. And for me this is a good opportunity to learn about the religious rituals of our Christian brothers. You will always be in my heart. Hope we can meet in Israel. I'm here for you always. I had one and a half wonderful week with Rosaria, Daniel, Emanuel (aka Red Hulk), Hossin, Alina, Manola, and Stella. You would have to search a long time to find a more kind, fun and hospitable little family and I really enjoyed my time there with a great group of volunteers as well! If you're looking for tight schedules and well-organized work… read more this might not be your place, but if you like being with lovely people in beautiful surroundings and eating good food (and lots of it! ), don't hesitate to go there. Mangia, mangia! I truly… read more enjoyed those 4 weeks, being a familymember of your easy-going and welcoming household! Thanks for everything! I miss you!! kind, compassionate and full of stories. I could find a lot of peace on this community based living in Santa Maria. My task basically involved assisting in the Restaurant during the peak season in Summer for over 4 weeks. We had pretty intense days full of work but amazing… read more individuals regarding the staff - like Ucino and Manola made my days easier in the kitchen. At the end I learned a lot about slow food, family recipes, intercultural communication and language skills. At home, Rosaria or Daniel were always willing to answer any doubt. Rosaria thanks for your time and your strenght. Enmanuel, please keep drawing. You have an indestructible talent. Sorry for my late feedback! This was my first workaway experience and I had an amazing 2 weeks in their lovely farm and with their family and their beautiful dog Stella. I made some really close friends there and some unforgettable memories in Italy. I would definitely go there again when i get a chance. The food was… read more amazing and I met Manola, the sweetest chef I've ever met in my life. Thank you Rosaria for being such a wonderful host! Convey my regards to Emmanuel, Fransesco and Manola! This was my first experience of workaway. I really enjoyed my stay in beautiful farm thanks to Rosaria, Daniel and all members of the farm . Everything I did and saw were new to me!! This stay must be good experience for me. There is a picture in my account which we took the last day . good and hard workaway coragius and very gentle! you with Ryota e Kazuki have a home in Italy!!! you are good and hard workaway a lot of paciense and very gentle ! for the next time need professional in Janken!!!!! you with Yuki e Ryota have a home in Italy !!! good and hard workaway paciense and very gentle! you with Yuki e Kazuki have a home in Italy!!! so grateful to have you here and love your enjoy semplicity e beauty! So sorry to be late in my review, I hadn't internet connection. I was there for 3 weeks with Rosaria, Daniel and Emanuel - a great experience!!! They are a such amazing family with so much love, good atmosphere and kindness. I learned a lot and felt in home. I wish go back in the future. The job is varied, nothing hard to do and they were always… read more supportive with me. I spent my Christmas in the farm with the family, I couldn't wish better Xmas. Thanks a lot for everything; you're in my heart. your help was good and we like to see you here again! thanks to be here , you know now that you have an home in Italy ! you are a very hard worker and make your work with attention and take care it .. very good ! if you can send your personal email we lost with virus in the pc.. I lived at the home of Daniel and Rosaria for two beautiful weeks. They are exceptional people who make of their faith a force that never leaves them, and despite the strong differences in thinking between me and them, we have developed a great relationship, made of intense moments of discussion and exchange of views as well as moments of… read more wonderful laughter. You will work In a beautiful environment surrounded by awesome scenery, in fact, the surrounding area and towns all around the place are to visit, wonderful priceless heritage. I was responsible for the care of the animals and the guidance of a boy for outdoor school, I almost always acted independently and that's why I felt their trust on me and I hope to have it paid off with good work. grazie for your presence here. i will never forget your help for everything. you are part of the family & you have helped us as if it was your own house. everybody will miss you & you know our house is your house. Hellllo Mama Rosaria, Daniel and Emanuel! We are so sorry this message is so belated! This is despite the fact that we have not stopped talking about your farm, and all the beautiful, happy and hilarious memories that we made there. Without a doubt, it was the most memorable experience that both Hettie and I have of Italy, and for Ella it was… read more the perfect introduction to the country: a warm family, breathtaking countryside, good and natural food and fun jobs to do (although we mainly used up all your ingredients making cakes hahaha). We will return one day to make you all more cakes, and help with the olives in October. Ciaaaao Mama Rosaria, Daniel e Emanuel! Ci dispiace tanto che questo messaggio è troppo in ritardo! Comunque non abbiamo fermato parlando della vostra fattoria, e tutte le memorie felice, belle e buffe che abbiamo fatto lì. Senza dubbio, è stata la esperienza più memorabile che Hettie e io abbiamo avuto in Italia, e per Ella è stata la introduzione perfetta al paese, con una famiglia simpatica, una campagna bella, cibo buono e naturale e lavori divertenti (ma per la maggior parte abbiamo usato tutte le ingrediente nella casa per fare le torte eheheh) Ritorneremo un giorno per cucinare più torte per voi e aiutarvi con le olive a Ottobre. there are no words to describe how fantastic it was having you to stay here Tom, Bob and Jackson! Generous, happy, beautiful car! Hard work people, never stop and we give you a lot hard work but also our home and heart, we miss you! God bless you forever! Thanks! Hope to see you again in the future. Whilst living in the Eco-Retreat we had the opportunity to perform some extremely rewarding work. It was great to spend days in the fantastic Italian weather, surrounded by rolling hills and incredible views. I will remember the time I spent there for the rest of my life. I look forward to returning to this beautiful part of the world. Bitte lies dir unsere Feedback-Richtlinie durch, um zu erfahren, warum diese Bewertung nicht gezeigt wird. y le deseamos lo mejor! many thanks our house is for ever your home in Italy!! I'm writing this nearly a year after Amit and I came to visit you, but I did not want to forget to leave feedback. This was our first workaway experience, and it was such a special experience. Rosaria is one of the most loving persons I have ever met, so full of passion! And her cooking is AMAZING. Their property is… read more beautiful and I enjoyed the work (gardening, weeding, mowing, cleaning). Amit and I especially loved all the cats around. One of the most memorable times was when the family hosted a big event at the villa and Amit and I were able to help out with the cooking in the kitchen. Such a fun night. I hope everything is going well for you! we love you and be sure that our house is your home forever. We all hope that you are fine and let us know the new of your journey. Rosaria and Daniel, Emanuel and Francesco. First, the place is amazing... when i was working outside, at the garden, i could see all the view from the hill and i thought to myself "how lucky you are!" the people.... wow... i love rosaria, she gave me the feeling of a carry… read more mother, with all the heart! i met there such a good people and that was such a good and teaching exprience... Rosaria, Daniel, Emanouel & Franchesko i love you and hope to see you soon in Jerusalem! dearr Andy and Reece, my dears!! thank you for all ! Spinachs Carrots and Salad are the best !Thanks lso to guest Francesco in your home, you are always in our heart and our home is your home ! Sorry we took so long to leave you guys feedback Rosaria! Reece and I stayed here in May this year and stayed for 2 months! We felt so at home here and the whole experience was just great. The food is awesome, the family is awesome and the fact that there are always a few other workawayers staying here at the same time is a great way to meet… read more people! Francesco is also a fantastic teacher if you want to learn some Italian while you're there. If you are tired of being constantly on the move and want to chill out for a few weeks i would definitely recommend staying with Rosaria and Daniel, although a little isolated it's a brilliant place to chill and take in Italian culture with some of the home-made food. Thanks guys, we will be back in the future i guarantee it! thanks for your experience with us and for your kindness. I congratulate you for being able to find the positive in this situation. We were also surprised and saddened by his behavior. We continue to milk the goats, now the wood is all stacked! We leave for Medugorije for a few days… read more ..
We now have 5 volunteers wonderful people! Thank you for having me over at your home and farm; it has been an interesting and different experience to say the least. Your property is beautiful; I fell in love with the charm of the countryside instantly and I wish I could be back in Italy as I type this. I enjoyed the work when there were things to do on a given day, however… read more it would of been more useful if there was more structure to the daily plan. Often I found myself unsure of what my task was for a given day. I loved being around the animals and I’ll miss your cooking. The organic food here is not the same, of course. Your sons were kind and humorous. I hope they are doing well! Thank you for being respectful and caring towards the situation I encountered with Adriano. I hope the plan has been followed through and that everything in your path is cleared. You’ve been of great assistance making sure I was comfortable and secure afterwards. However I will be firm on my stance when I say that I hope anyone else who is looking to work at Santa Maria, especially if you’re a female, message me or Rosaria about my experience for a better idea of I encountered. I don’t want to scare away any future volunteers with this message but I believe it is fair to give anyone an honest representation of my experience. In the end I only want future volunteers to have a beneficial and positive experience being at Santa Maria, alongside a peace of mind within the Boutet family. I am a 39 year old engineer from America (I work behind a desk every day, not out in the sun!). My 14 year old son (Jimmy) and I spent 10 nights at Daniel and Rosaria's agriturismo. It was an experience that we will both remember forever. The scenery is breathtaking and is just like something out of the movies. There are rolling hills with… read more sunflower fields, vineyards, and olive trees. The building in which the volunteers stay is quaint/rustic, with no air conditioning and no ceiling fans, but it's clean and adequate. done will always vary. During our stay, we pulled weeds, mowed grass, and cleaned up piles of dead wood. The majority of our time, however, was spent building a concrete road on a steep slope leading down to the guest building. This involved using a pick and shovel to level out the bumps on a dirt road, shoveling sand into cement mixers, and carrying wheelbarrows full of wet cement up and down a steep hill. So, if your vision of the work is to be holding a basket and casually walking through a shady orchard picking peaches or grapes, like mine was, you'll be in for a rude awakening when you arrive and see what the real work is. Volunteers are expected to work 6 hours per day, 6 days a week (Sundays off). This is nearly 50% more hours than the Workaway standard of 5 hours per day, 5 days per week. A couple times, we worked 8 or 9 hours in a day, but we always got the next day off in exchange, so it worked out well. There is a great handyman, Adriano, who lives on site. He is the person who works directly with the volunteers every day. Adriano is a great man with a kind and happy heart. He is very considerate and knows that most volunteers don't have experience with the kind of work that is done on the farm. He makes sure not to overwork anyone, and he is always smiling. Volunteers are constantly coming and going, so you'll also get a chance to meet people from all over the world. Jimmy and I were fortunate enough to meet and become friends with a great group of people. Alana, Sophie, Alessandro, Giuglio, Karen, Morgan, and David-- thank you for making our time at the workaway so enjoyable. Since we were there in the middle of summer, every day after finishing our work and eating lunch, we would all head down to the beautiful swimming pool and enjoy a relaxing afternoon. There was plenty of time to swim, play cards, ping pong, or foosball, and to drink homemade wine while eating wild boar salami. Che meraviglioso! The owners of the agriturismo, Daniel and Rosaria, are also very nice and welcoming. Rosaria cooks lunch and dinner every day, and the family, the volunteers, and Adriano all eat these meals together. These mealtimes provide a great opportunity to practice speaking Italian and do some cultural exchange. The food is very good and is never the same thing twice. As an American carnivore, though, I must mention that the meals include very little meat (but you'll never go hungry). Rosaria goes out of her way to expose the volunteers to Italian culture. During our stay, she took us to a medieval festival one night and to the town of Orvieto on one of our days off (note: you should really try to visit Orvieto, and if you do, eat a porchetta sandwich. Don't waste your time with pizza or pasta there.). The agriturismo is isolated and up in the hills a few miles from the nearest towns, so it's very nice that Rosaria takes the volunteers on "field trips" to see interesting places. Not many people get to experience something like this in their lives, and I am very grateful for the opportunity given to my son and me by Rosaria and Daniel. While I'm thankful that I don't pull weeds or carry cement around for a living, I wouldn't trade my time here for anything. Mille Grazie! I spent three weeks here and it's been a really interesting experience. The area is beautiful and peaceful: clean air, green fields, enchanting hamlets, and of course the swimming pool where we used to rest and refresh after a hot morning of hard work. The owners are flexible and let you the chance to organize your hours of work as you prefer,… read more and besides they are open to new techniques and projects; on the other hand they don't work with you, so the cultural exchange is limited to the mealtimes. However, Adrian - the amazing handyman - is often with the volunteers, and, though not speaking English, he always finds a way to show you what to do and how. In my opinion, one of the best aspects of the place is that it's always full of volunteers from all around the world and it's a very good chance to meet, work with and talk to a lot of new people (at the beginning of my third week we were ten volunteers!). Rosaria, Daniel, Manuel and Francesco thank you very much for your hospitality and the nice conversations we had. Adrian mulţumesc - you have such a big heart! Thank you, Amilcare, for the laughs and for your delicious white wine! Thanks to all the Romanian and Sri Lankan people for the great BBQ, the spicy food and the good time together. And, of course, a big hug to all the other volunteers: Karen, Alana, Sophie, Jim, Jimmy, Morgan, David, Dolly, Clare and the young Alessandro. very dear friends now , a part of the family, you remain in our heart for ever and our home is your home!! Thanks for the very big help that you give us with your heart !! We had an amazing time staying here for 3 weeks. The hosts are incredibly warm and lovely people and welcome you into their family. We spent part of our time helping around the farm, pruning olive trees and weeding the vegie garden, as well as learning to cook some fantastic Italian meals, helping around the house and building a cubby house, and… read more part of the time helping at the guest accommodation in the restaurant kitchen and preparing rooms for guests. The countryside is absolutely beautiful, with the rolling green hills dotted with villages and farmhouses, just like you dream the Italian countryside will be. There was a town within walking distance where you can do some grocery shopping if you want, not that you will need to because abundant and delicious simple home-cooked Italian food is provided. The host also took us into Assisi so we got to look around this incredible medieval town. Rosaria, Daniel, Emanuel, Francesco (and Adriano, Elena and Amarita!) thank you all so much for making our stay so memorable, we're missing you already. We had a great time working here. We stayed for 2+ weeks preparing for the big Easter holiday, so work was quite chaotic and the hours long (we were only given 1 day off during our time there, so we were not able to explore the area at all). There were a wide variety of jobs to be done so we learned a lot, from building a fence to working in the… read more agriturismo restaurant (highly recommended). The food at home was delicious, hearty Italian meals with homemade olive oil, fresh veggies and home-raised meats. The family is very nice and welcomes you immediately into their community, and we were able to make some great friends since there were 6-7 of us workers staying at a time. Very comfortable environment. And of course, working/living in the beautiful Umbrian countryside is wonderful! Thank you so much for everything! I had an incredible time at the farm and was able to get down in the kitchen. The olive oil is incredible and the food was nice and fresh and the view was spectacular. A great place to get back to nature... especially working with the olive trees. Highly recommend doing this during olive picking… read more season. See you soon Rosaria :) I'll bring my family next time. Thank you for bringing us into your family. Our experience in Italy was made very special by our time with you and we hope to meet again...how has your olive harvest been? 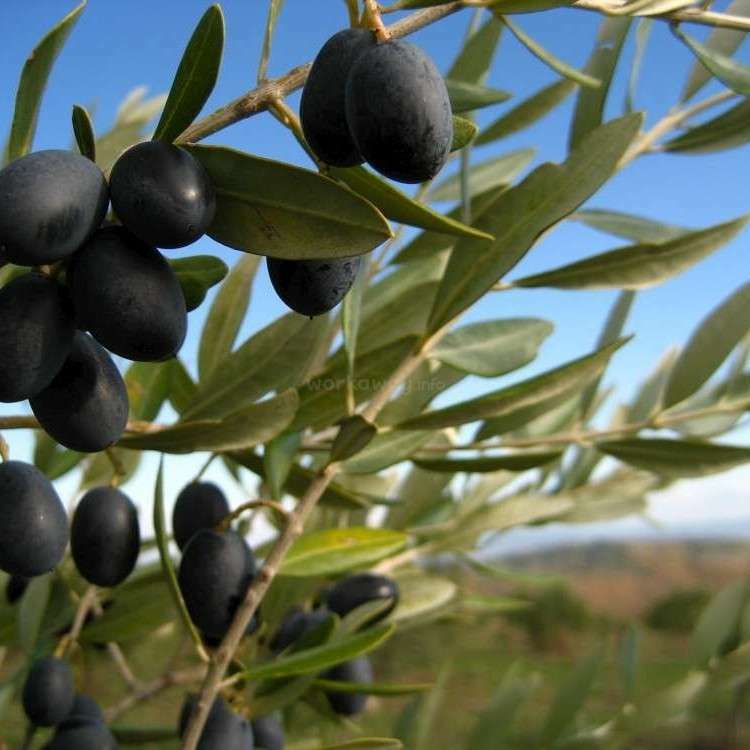 you are a very good olives oli production like us ! dear Tess , the princess of the kake ... the best specially "pere" kake! many thanks for your work and your courage ! This was a truly memorable and wonderful experience, the family were so, so very welcoming and warm. Be prepared that this a working holiday, so be prepared to be flexible, open and just go with the flow! You really get the most out of this experience by what you put in. The work was varied and interesting, loved helping with the animals and… read more picking vegetables straight from the family garden, even enjoyed painting the house in the lovely sunshine! Met some lovely co workaway volunteers and made the most of the pool and visiting some local villages. First of all I would like to say so many thanks that You gave this amazing chance by inviting to your place.This marvellous experience always will have an important place in my memories .Hopefully I could help to you and deserve to your warmest hospitality. Many many thanks .Hope to see all of you again in Turkey or some… read more where. My friend, Lori, and I were only able to stay for eight days this time but we wished we could have stayed longer! Rosaria's so funny and a fantastic cook; the whole family were very kind to us and made us feel welcome straight away, despite it all being a bit chaotic at first. The work wasn't too difficult and we had afternoons off. We also had… read more different jobs every day so there was plenty of variety. The area is peaceful with no major towns nearby but the family allowed us to use their bikes to cycle to nearby villages/small towns, most of which are beautiful! We also had use of their gorgeous swimming pool in the afternoons and there were always plenty of other volunteers around so there was never really a dull moment! Thank you, Rosaria, Daniel, Emanuel and Francesco! We miss you all (and the new pig)! Hopefully we'll see you again one day. I had a wonderful time with the family. Right away Rosaria treats you like one of the family. I got sick a couple days into my stay and she took care of me just like my own mother would, and gave me Emmaneuels room so I could sleep better. The food is delicious and you will never go hungry. The work varied. I had a short stay there so did… read more housework some days (cleaning, etc), translating for the website, stone work in the field, feeding animals, and moving thorns in the field. If going in the summer be prepared for hot weather and physically demanding work. There are usually other workawayers there so it is tons of fun, you feel like a big family. The house is close to other hill towns, however they are not very easily accesible unless you have a car. I found that I enjoyed spending afternoons in the pool anywyas. They also took us out a couple nights into town for a festival. Thank you for everything Rosaria, I hope to see you again some time in the future. ps check out the stars at night....amazing, like a planetarium. intelligence, you give us good work specially with the pc .. I had an amazing time. 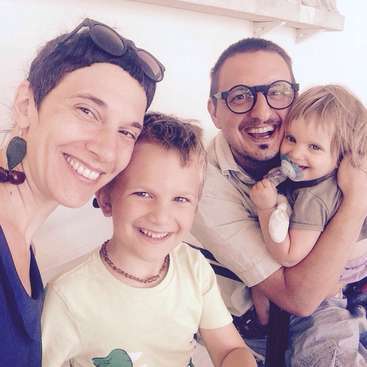 Rosaria, Daniel, Francesco and Emmanual made me feel instantly welcome and part of the family. Rosaria is a beautiful lady with a beautiful soul, and the best chef I have ever encountered. She takes the role of Mamma for all of the volunteers, and included us in all family occasions. The volunteers stay in an apt next to… read more the family's house-it's 4 to a bedroom and often people stay in a tent in the garden also. The work was different almost everyday: I picked stones, painted, cleaned, raked thistles.. I will definitely be back, as a volunteer or a paying guest. We have just spent around two weeks here and we had the most amazing experience you can imagine. Everything was a bit crazy when we first turned up, but we quickly adapted and grew to love it! The scenery is absolutely stunning, the family is incredibly hospitable, the food is out of this world, the work is not too hard and the use of the… read more swimming pool in the afternoons is a definite bonus! It was great to get away from the rat race in England and have a genuine rural Umbrian family experience. During our stay we also enjoyed the company of 8-10 other workawayers. We were sad to leave and we are sure we will return at some point. Thank you Daniel, Rosaria, Emanuel, Francesco and all the animals (especially the ‘Happy Pig’) for great memories that we will keep forever. with the hope to meet you again in the life.. I fell in love with this warm family and charming place just from the first hours, first conversations. They are so warm, full of interest of everything around them and full of passion of what they are doing. They do everything with their heart, you immediately feel happy of helping them! I stayed only about one week, it was a bit too short to… read more understand how everything works and how some things should be done, but I feel I learned something from them, some things about their attitude to life, their way of living and I'm so-so-so happy about that week! Rosaria draws such a beautiful, deep paintings, Emanuel and Francesco are simply such lovely guys and I wont forget Daniel's french omellette! And of course, cooking with Corrado and helping Marion and chatting with her (even without me speaking any Italian) was so much fun! For two weeks, I was part of a lovely family and participated in their daily work! They always take care, that you feel good and make you feel home... It was not easy for me, to say goodby. dears, for us it was wonderful your stay here.. Thank you Rosaria, Daniel, Emanuel and Francesco for an amazing three and a bit weeks! Our work was mostly in the garden (weeding, lawn mowing, chopping wood, cleaning the pool, helping with the animals, making concrete for the new woofers/workaways room etc) and helping Corrado in the kitchen-with cooking and cleaning-(when guests were staying).… read more This was our first workaway experience and we felt so at home here. We generally worked from about 7 or 8am - till 1 or 2pm which is when we had lunch and then cleaned the dishes, afterwards we would spend the afternoon relaxing by the pool or exploring the surrounding countryside( the small town of San Venanzo is about a 30 min walk away from the farm house). Rosa and Daniel took us to a medieval festival, a local fair in Marsciano and welcomed us to a friends birthday party making us feel like part of the family! Rosa is the Italian Mother you always wanted and she fed us so well (not to mention Daniels french omelette!). We would recommend this wonderful family to everyone! many thanks for your stay here , it was a lot for us have in our home a man like you with your experience and life ..
My visit was filled with welcoming, affections, good work, simple delicious food in abundance, friends and of course the sense of family! The Boutet family: Daniel, Rosaria, Emanual and Francesco were all very gracious and hospitable. The accomodations were private and very comfortable, after work, we had plenty of time to ourselves to explore… read more the beautiful country side and surrounding cities of Perugia and Assisi. My farmstay was the highlight of my Italian experience!! Love to you all and a special hello to my new most cherished friend Emanual and younger brother the "rock star" Francesco, stay cool my friends! dears Brian and Sarah, we miss you a lot !! This family really is the Italian family you always wanted. They are so nice and welcoming. You are always free tojoin them for lunch, dinner and breakfast (with honestly the best Italian food we ever eat! You just eat untill you feel sick but keep going because you can't have enough) but you can also cook your own meal in the appartment. The… read more appartment you share with other workawayers is really spacious and beautiful and has his own kitchen and more than enough beds:P. You should definitly light a fire at night and drink a glass of wine. The view is amazing, on the top of a mountain and a panoramic view all around you. They have sheeps and some chickens who love to see you every morning when you feed them. We really enjoyed every minute of our stay, we miss you guys, and we hope we can come back soon. Thank you for everything! two sisters very nice and we are happy to receive you here, many thanks for your hard work that you give us !!! Our entire experience here was great. The family is lovely and very helpful and welcoming. From the first moment you jump right in, help set the table and have a family style meal all together around the table. Most of the food was cooked using the olive oil which they press at the farm and it was delicious and authentic. We helped cooking, fed… read more the animals, chopped wood, put ash on the olive trees and sorted good from bad olives during the days that we were there. They took us along to one of their sons Christmas rock concerts, which was really fun. The kitchen was the hub of the house and we would sit there and play cards, chat, cook, and practice our Italian. This was our first work away experience and overall it was an absolute success. Thank you for everything! I spend two weeks here in May, and I loved it. I felt like it was such an authentic way to experience Italy: right in the beautiful italian countryside, with rolling hills, green valleys, and tiny medieval villages surrounding you. You work right in the middle of these incredible panoramic views. 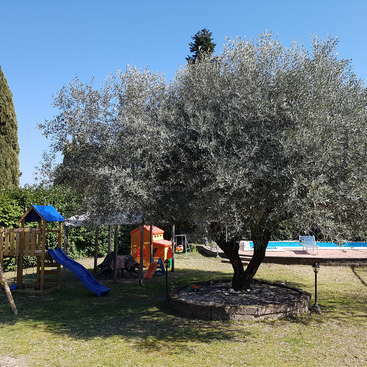 While I was there, we spent most of our time… read more pruning olive trees, which is really fun work, but we also weeded and planted the garden, did some cleaning (not too much) and cooked a couple big meals for everyone, including a barbeque. Since there are often several other workayers/woofers (it depends, i supposed), you meet lots of different people and have people to spend your time with. The work was never too much, they're very fair about, and you definitely get the sense that getting to know the family and participating in meals and conversation is an important part of your stay (that being said, there's definitely a give and take, and the harder you work, the better your relationship with the family is going to be). It can get a little disorganized at times, because you don't always know what you should do, but if you're patient and take things in stride, your time there will be rewarding and even relaxing. I highly recommend this host!